Published December 31, 2011 By Anna T. This post may contain affiliate links. Regardless, I only recommend sites I've researched and/or used and trust. A couple of weeks ago when I posted about phone mystery shopping through TeleXpertise, one of my readers commented with some information on another company called Perception Strategies. This really intrigued me because it's similar to TeleXpertise and other phone mystery shopping work, but it's within the healthcare industry only. Also, this company doesn't just do phone mystery shopping. They also do traditional mystery shopping, 24 hour inpatient stays, website shops, and more. How much does Perception Strategies pay? The phone mystery shops pay between $12 and $17 each. I cannot find any information on how much the other types of shops pay. One person who does occasional work for the company says this is a great way to make extra money and that she earn around $100 per month. Also, I am unclear as to whether or not they use Paypal, but one reader mentioned that they do pay with a check around the beginning of each month. To start, most people only get a few shops per week. As you get used to the work, you may be assigned more shops to do. You have one week to complete the shops once you are assigned them. Perception Strategies doesn't guarantee a certain amount of work so, again, this is best viewed as a supplemental income opportunity. Is there a specific schedule you have to follow? No, that is one of the things I think is great about this! Once you have been assigned your shops, you can do them whenever you like provided the place you're contacting is open and you complete your shop within a week from when it's assigned to you. What are the requirements to apply at Perception Strategies? They are looking for detail-oriented, reliable mystery shoppers. Also, you must have internet access and email. Additionally, a written narrative must accompany all shops, so good writing skills are vital. When you apply, you will have to complete a writing sample for them so they can gauge your skills in this area. Perception Strategies has a form you can fill out on their website. You just put in your details and at some point after that, you'll get an email from them asking for a writing sample. They will likely contact you for an interview if your writing sample is good. The company also has a “wait list” they put people on, so if you're not accepted but don't receive a rejection email, you could end up on that. If accepted as a shopper, there is a training process you'll have to go through before you can start work, but I can't find a lot of details on how training works. 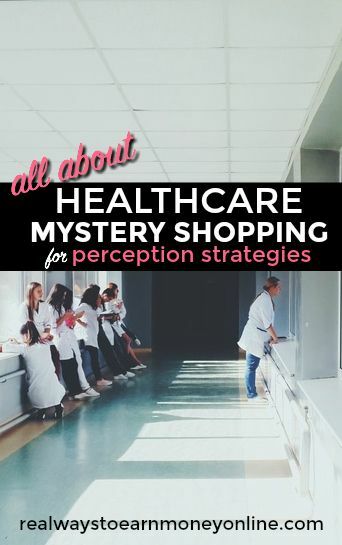 Do you want to go ahead and apply for mystery shopping with Perception Strategies? You can sign up here. Please keep in mind that, just as it is with all companies, their staffing needs likely fluctuate so they may or may not need new phone shoppers right now. You can also go here to see even more telephone mystery shopper earning opportunities. I just applied & submitted my sample shop assignment. I felt I was very detailed. I wrote 3 paragraphs for a 5 minute phone call, so hopefully, that’s enough information. When I clicked the SUBMIT button to submit it though, it doesn’t show any confirmation page that I submitted it, so I hope it went through. I even submitted it twice just in case. Does anyone know how long they take to reply to you sonce ypu submit the sample? Well, I didn’t get past the sample assignment. I wish I had read Panpan’s first post above before I submitted my sample assignment. I’d strongly advise anyone else who applies to REALLY, REALLY embellish their details ( as what kind of hold music they put on, the # of rings people answered, etc.). I get the feeling they want you to lie and add extra stuff that didn’t happen. Thank you for the wonderful information you provide on your site! I applied for a position with this company. The sample that they give you does not provide enough information into to exactly what they are looking for. Here is is:Want to join our team? Showcase your writing abilities below by completing a Sample Shop. This sample is very similar to what our shoppers do on a daily basis. Once we’ve received your Sample Shop, a member of the Perception Strategies will contact you with further instructions. * Based on this experience, would you use this facility in the future? * What was your perception of the employee(s) you spoke with? * How satisfied were you with the information they gave you? The call took less than 5 minutes. I did everything to a T. Now the questions listed above are on a scale of 1 to 5. Only thing that I did not get was the person name but, they did not say their name. I’m so livid right now because I could do this job in my sleep! Plus they will not tell you exactly where you “messed” up. All this without hearing my phone voice or QA. A couple of colleagues got scammed into doing work or providing leads without even realizing it for free. Would not surprise if they were practicing the same tactics! I start training next week. The woman I spoke to is really nice. Excited to see how it plays out. Thank you for all the wonderful posts you provide to us! You’re welcome, Georgia! Good luck with your interview! I’m so upset! I missed their call (they didn’t email) and by the time I called back, they had already filled up the training class for this round of hires and she wasn’t sure when they would be hiring again. Sounds like a good fit for me & I would love to get on. Fingers crossed! Thanks, Anna. I wouldn’t tell anyone not to apply, because Perception Strategies could be a good fit for someone else. Anyone who applies should be forewarned to write down every detail in his or her sample call, even if it does not seem important. Again, I’m sorry for venting. I don’t like doing that, but it was a demeaning experience, to say the least. Frankly, I do think that Perception Strategies wants people to embellish their narratives. They want to know exactly how many times the phone rang before someone answered, how many times you were transferred, exactly what directions you were given in terms of where to park and how to find the outpatient area, etc. I was calling my local hospital, so a lot of things did not need explanation. Some things just plain didn’t happen. I was not transferred from person to person, the phone rang one time, I was only on hold for about 30 seconds, which I told Perception Strategies. My advice to any applicant is write down every detail in your narrative. I really so much appreciate your feedback! The more information that is here in the comments, the better because it helps people decide if they want to give something a go or not. A word to the wise: If you apply to work for Perception Stragtegies, be extremely detalied in your sample shop narrative. I applies around Christmas, but didn’t have a chance to do the sample shop until this week. I followed the directions to the “T,” or so I thought, anyway. I then received an e-mail message saying in polite business speak that I was not what they were looking for. I responsed in polite business speak, asking what were the deficiencies in my application. I received a generic answer about my narrative not being detailed enough. I replied that I had answered all the questions and given a truthful account of the call, which had lasted less than five minutes. The reply from Perception Strategies was a bit condescending in my opinion, but still in polite business speak. The PS representative sent me what they considered a good sample shop and told me to compare it with mine–you know, since I’m so stupid and don’t know how to write. Sorry,the person didn’t really write that of course, but I’m venting a bit. Their example was detailed almost to the point of being laughably unrealistic. I can’t imagine any hospital or doctor’s office keeping someone on the line long enough for the details in the sample to actually take place. I simply thanked the PS person and moved on. Sorry for venting. I just want to let everyone know that if you apply for Perception Strategies, they want to know every little thing that happened during your sample shop. I am almost under the impression that they want to know things that didn’t happen, if you get my drift. Thank you for coming back and posting to let me know your experience! I wonder what exactly they are looking for in a narrative? I am sorry that it didn’t work out for you and don’t blame you for venting, I’m sure I would be too. I’m also sure that your comment will help others out who are considering doing this work.